When it comes to dress shoes, no one wants to see them falling apart after a long day at work or a night on the dance floor. Regardless of the price you might have paid for them, even some ultra-expensive dress shoes can come apart after a bit of constant use. However, instead of purchasing a new pair, or paying a hefty price to the shoemaker for repairing this product, it might come handy if you can just repair rubber sole shoes yourself. Especially if it’s the sole which has come apart, you can do it – even without prior knowledge – in a very short amount of time. It might only be a temporary fix, but when you need to wear the same pair of shoes for an office meeting or other important function again in the near future, this repair can be extremely effective. Want to know HOW? Have a look at the following guide. For repairing the sole of a dress shoe, all you need is some glue and a broken sole. When purchasing glue for this purpose, you should consider buying shoe sole glue for achieving the best possible adhesion results. Even though it might be a bit more expensive as compared to other types of glue, it’s worth the money in order to do this dress shoe repair properly. Once you’ve purchased a suitable shoe glue, open it up by piercing a hole through its bottle with the help of a pin or nail. Make sure that you’ve created a large enough hole in order to allow this viscous material to come out without any hindrance. Afterward, apply the glue over the broken sole. You should only glue that part of the sole which is coming apart from the shoe’s bottom. However, if the entire sole has come apart, you should apply a considerable quantity of glue all over the shoe sole. Make sure that the rubber sole is completely covered with glue in order to make a solid contact with the bottom of the shoe. However, if you aren’t sure about the perfect quantity of glue which should be applied, go online to the shoe’s manufacturer site to see what they recommend. Now hold the sole and shoe together for a considerable duration of time. Keep them in this position as long as the glue isn’t fully set. At this point, you should make sure that your fingers stay away from the glued part or otherwise, it could negatively affect the outcome of this particular method and you might have to do it all over again. After the sole is properly sealed (usual glue curing time is 24 hrs. ), you can start wearing these shoes without any issues. However, if there is still some part of the sole which lacks proper contact with the shoe’s bottom, you will need to add more glue to area’s that were missed. Apart from using this re-glue technique on dress shoes, you can also apply it to other types of footwear. Even though it may be a temporary fix, it’s still much better than having to purchase a new pair of dress shoes. Customers should apply this method only on rubber soles. 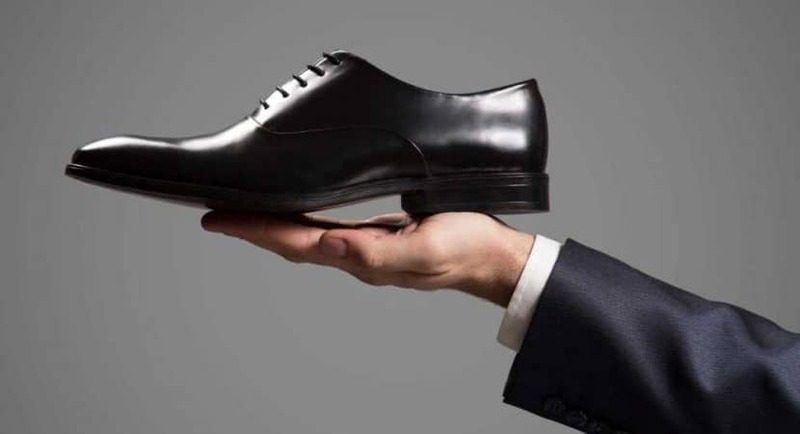 If you own a pair of dress shoes that are manufactured with a leather outsole, it might be more beneficial to consult a shoe cobbler for repairs. There are very few things in daily life which are more frustrating than having to deal with a broken pair of dress shoes. Especially at the start of the day, when you’re preparing for the office, a broken sole can ruin your mood. At that time, there is no way you can visit your nearby retail store or even visit the professional to get it fixed. However, this is where the above technique comes in handy. When it requires nothing more than shoe glue, which can be found in most chain department stores, the fact that it takes no more than 10 minutes to repair and 24 hrs to cure makes it a low-cost repair for any favorite pair of shoes. So next time your shoe soles come apart, try applying the above repair technique. Apart from saving you time from having to shop for new shoes and maybe spending money that you weren’t planning on spending it will feel good to fix your shoes with your own hands. What Dress Shoes to Wear with Jeans? My husband has some nice shoes with a broken sole. I didn’t know that you can purchase glue made for the purpose of repairing shoes. Unfortunately, I’m not very good at fixing things and making them look like new. Instead of buying glue and trying it myself, I might look for a shop that can repair shoes.